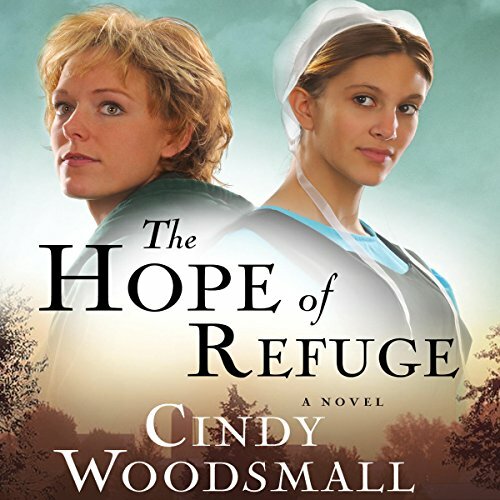 The first book in the Ada's House series, The Hope of Refuge is a moving story of love, hope, and new beginnings from New York Times best-selling author Cindy Woodsmall. The widowed mother of a little girl, Cara Moore is struggling against poverty, fear, and a relentless stalker. When her stalker ransacks her home, Cara and her daughter, Lori, flee New York City for an Amish community, eager for a fresh start. But she discovers that long-held secrets about her family history ripple beneath the surface of Dry Lake, Pennsylvania, and it’s no place for an outsider. One Amish man, Ephraim Mast, dares to fulfill the command he believes that he received from God - “Be me to her” - despite how it threatens his way of life. While Ephraim tries to do what he believes is right, will he be shunned and lose everything, including the guarded single mother who simply longs for a better life? A complete opposite of the hard, untrusting Cara, Ephraim’s sister Deborah also finds her dreams crumbling when the man she has pledged to build a life with begins withdrawing from Deborah and his community, including his mother, Ada Stoltzfus. Can the run-down house that Ada envisions transforming unite them toward a common purpose - or will it push Mahlon away forever? I have had an interest in Amish culture since I wrote a paper about this religious sect in college. I think many are drawn to a simpler lifestyle, and I am no exception. Many books in the genre are superficial and a bit too syrupy. I also don't think the research is that good. Yet, after reading the three quilt titles by Woodsmall, I was interested in reading another series. I spent an extra credit on this, and it was worth it. Woodsmall writes of a young woman who is doing all she can to raise her daughter alone after the death of her husband out in the Englisher world. She knows nothing of her connection to the Amish, but for an address in her mother's journal. She flees there to escape a violent stalker. The closed Amish community ostracizes her, except for one young man. He initially tells her to believe, but after seeing her more closely, remembers this same young woman as a child. He gradually brings the community around, while all the sad and sordid past is brought to the fore. This is a book about betrayal, loss and redemption. It is not sappy or corny. Rather, it appears that Cindy Woodsmall has a real heart for the outcast who suffers. The Amish are often fearful of an outsider, and with good reason. There is a need to keep those adults who join the church close to the fold. Right or wrong, most who choose baptism stay happily in the faith. Yet, Woodsmall challenges the sect to be more forgiving, and not to rush to conclusions too soon. The narrator was quite good; I think she liked the book. I am not certain, but do think some of her pronunciation was not correct. This bugged me only a bit. She had a pleasant voice, and read with compassion without being maudlin. I listened to this book to see if the author could re-create the magic of the Hannah Lapp trilogy. I really, really enjoyed this book, Cindy Woodsmall knows how to write a story that at least I'll enjoy. I look forward to more from her. We're all children of God. loved this story. life holds little fear when Love is abundant and freely given. Easy and enjoyable to read. Wonderful book, first of a great series! I absolutely fell in love with this entire series. This is book one of a three book series. They just get better and better. Cara is the main character in this wonderful first book of the Ada's House Novels. Since I've listened to all three, I won't spoil this, but I highly suggest after you listen to this one, get the next two books. I'm hoping Cindy Woodsmall continues adding books to the Ada's House Novel's! Cassandra Campbell does a great job narrating, as usual. The story was good but a little dry. The reader was dry and didn't have much fluxion in her voice and all of the characters sounded the same. Hard to say. I really enjoyed Woodsmall's Sisters of the Quilt series, and am also reading "Amish Vines and Orchards." This novel and series does not appear to be as stron g.
Honestly? Pretty hokey. I can't picture a character like Cara trusting a charactger like Eframe... not to montion visions...? Was The Hope of Refuge worth the listening time? On its own, I did not enjoy this book, but it sets up the two stronger books in the series - The Bridge of Peace and The Harvest of Grace - which are much betterdue to their debth. If I were to introduce a friend to Amish fiction in general or Cindy Woodsmall in particular, I would definitely not use this book or series. There are too many coincidences that are unbelievable, and it is much more sappy than her other series. Well Done! A LOT of characters! If you could sum up The Hope of Refuge in three words, what would they be? Have you listened to any of Cassandra Campbell’s other performances before? How does this one compare? No, but I was impressed that one Narrator could do such a nice job voicing so many different characters! When the Bishop apologized to Cara. Definitely recommend this read to anyone who is fascinated with Amish living. Knowing absolutely nothing about the Amish culture. I thoroghly enjoyed this book! I felt every emotion from laughter to tears. I bought the second book half way through this one!